WWII - Herald and Review Library; Dixon, William C., 7/13/1944. Article on back of photo: "Ends Gunner Course: Pfc. 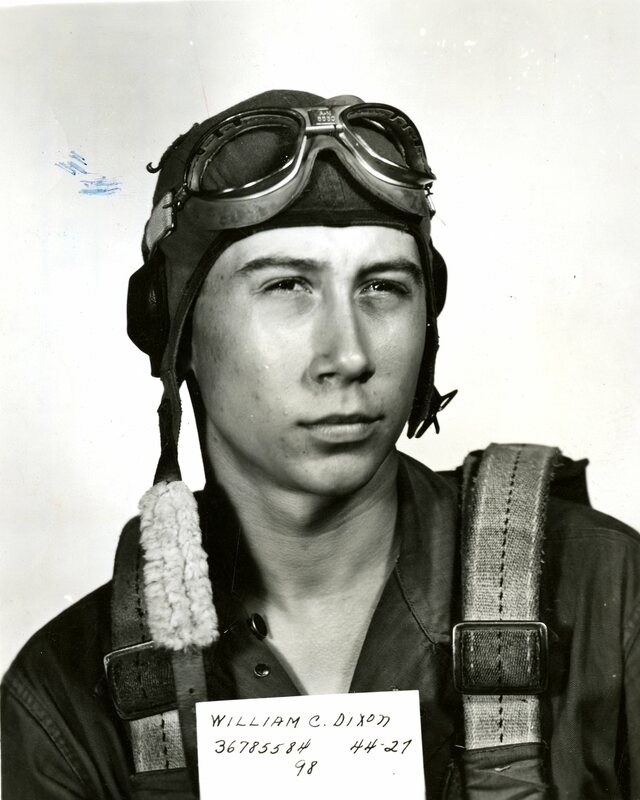 William C. Dixon, son of Mrs. Fay Dixon, rural route 5, has graduated from the aerial gunners school at Harlingen army airfield, Texas. Following a furlough he will be assigned to an aerial combat crew in one of the theaters of war." 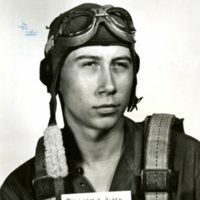 Herald and Review, “Photo of William C. Dixon in flight suit with name and number card,” Decatur Illinois Public Library Local History Photo Collection, accessed April 26, 2019, http://omeka.decaturlibrary.org/items/show/154.